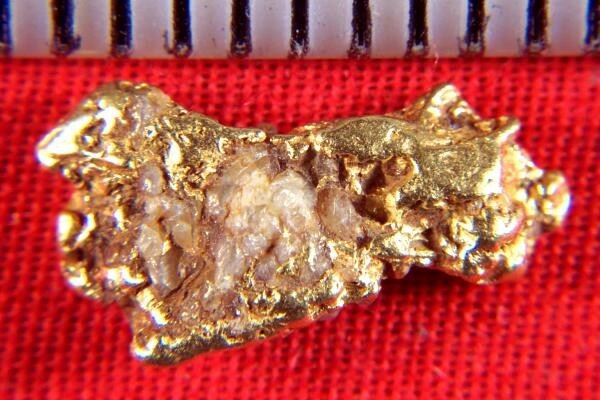 Another gorgeous Alaskan Gold Nugget. This one weighs in at 24.3 Grains (1.57 Grams) and it is 9/16" long x 1/4" wide. It has a beautiful touch of quartz which contrasts beautifully with the color of the gold. 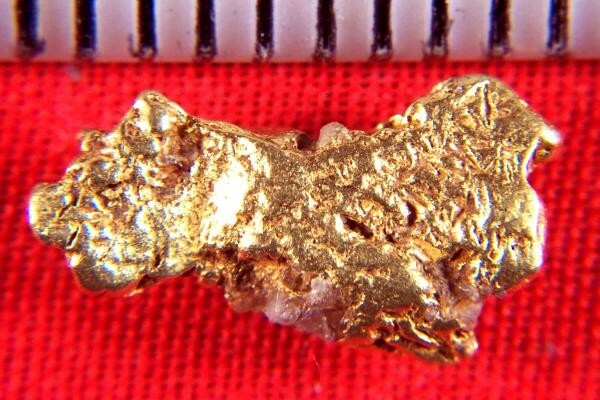 This Alaskan Gold Nugget has great shape and would look great in your gold collection.